It is advisable to take out your travel insurance at the time of booking your trip, since coverage will begin for pre-departure cancellation from the policy issue date. This will, therefore, provide coverage should you have to cancel your trip for an insured (covered) reason. We strongly recommend that you and all members of your party are adequately insured, protecting against unforeseen circumstances that could otherwise spoil your travels. Coverage should include medical expenses and repatriation in the event of accident or illness. In addition, we also strongly recommend that you have coverage for personal belongings, delay at your outbound or homebound point of departure, personal liability, overseas legal expenses, and cancellation. If you are undertaking any sports or adventurous activities, including hiking, on your trip you should also make sure that your policy covers these. Please also ensure you read the policy conditions and exclusions. It is essential that you see your physician before booking your trip and before traveling to make sure that you have taken all the necessary health precautions. Some vaccinations require more than one visit with a period of weeks between injections. You should visit your doctor at least six weeks before departure. For up to date medical advice you may wish to use the Center for Disease Control and Prevention (CDC). It maintains a travelers’ health page: www.cdc.gov/travel/destination. The majority of international airlines now issue advice on how to lessen the risk of DVT; however, if you have any concerns, we recommend you consult your physician. It is essential that you advise us before booking if you have any disability or pre-existing medical condition which may affect your vacation or any special requirements as a result of any disability or medical condition (including any which affect the booking process) so that we can assist you in considering the suitability of the arrangements and/or making the booking. It will also enable us to make sure you receive the relevant level of assistance when you fly. Full details must be confirmed in writing at the time of booking and whenever any change in the condition or disability occurs. You must also promptly advise us if any medical condition or disability which may affect your trip develops after your booking has been confirmed. The nature of many of the destinations featured within our brochures means that in the majority of cases they are unsuitable for those who are wheelchair bound or have a lack of mobility. We will be delighted to discuss the feasibility of creating a custom itinerary for you that takes into consideration your level of mobility. Your itinerary may include sections where the altitude exceeds 10,000 feet (3,048 meters). If you suffer from circulation, heart or respiratory problems we advise that you consult with your physician before confirming your booking. Airlines do not permit smoking on the aircraft. For smokers traveling on a custom tour we request that you check with your driver or guide whether smoking is permitted in the vehicle. There is frequent confusion over the terminology used for bed arrangements in hotel rooms. A “double” is recognized as meaning a room with a double bed, which may be two single beds pushed together. A “twin” is a room with two single beds. Please note that all rooms are allocated at the discretion of the hotel and cannot be guaranteed. Single rooms tend to be smaller than double or twin rooms, however, many hotels do not have single rooms, in which case you will be allocated a twin or double room. The difference between a direct flight and a non-stop flight can cause confusion. To clarify, on a direct flight no change of aircraft is scheduled but stops will be made en route either to refuel or to board or disembark passengers. On non-stop flights no change of aircraft is required and no stops are made en route. Exact details will be given with your itinerary. We will do all we can to try to reserve a specific seat for you, if you have a preference. However, while airlines may allow us to request seats, they will not guarantee any specific seat reservation. If this is important to you, it is always best to arrive for your flight early, regardless of having made this request in advance. Please make it clear on your booking form if you have a specific request. We generally use special “inclusive tour” fares when we purchase your air tickets from the airline. While these fares are very good value they are inflexible in terms of changes and offer no refunds once the tickets are issued. Once your flight is confirmed the airlines will charge an amendment fee or insist on the purchase of a completely new ticket if you make changes. Smaller local airlines are often more likely to change their schedule at short notice. We will try to inform you of any changes in advance of traveling but this may not always be possible. Special diets should be requested on the booking form; however, it may not be possible for special diets to be catered to in some of the destinations we feature. We will advise the hotels and airlines of your request but we cannot guarantee their availability. Many of our destinations are in the developing world where attitudes, infrastructure, priorities, lifestyles, and cultures are very different from our own. This is often the very reason to visit the destination but certain aspects may be frustrating. We always advise that the first thing you should pack is your sense of humor. This can prove invaluable when traveling over rougher roads, waiting for a delayed aircraft, and communicating with hotel staff whose first language is not English. Each country has its own regulations and enforcement levels relating to health and safety standards. These do not always match the very high standards you are used to in the U.S. We therefore recommend that you follow a few precautionary safety procedures. Always check where the nearest fire exit is and how to raise the fire alarm. Do not enter a swimming pool before checking the water depth first. For more suggestions please see the Important Information section in your Travel Organizer. 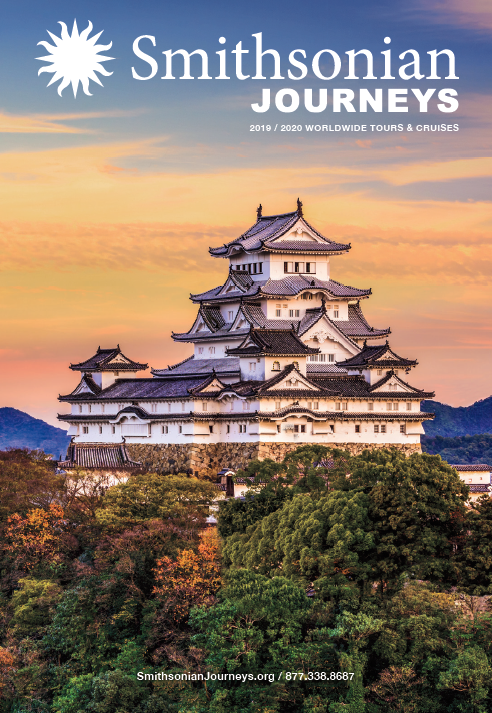 We thoroughly check all the information that is included within our catalogs and individual tour itineraries, however, changes do occur and errors are occasionally made. Airlines may change their schedules, roads may close, and government regulations may change. Should there be any changes to the travel arrangements you have booked, we will do our best to keep you informed prior to departure. We will hold your name, address, and any other details you supply us with in our database. This information will be used to make your travel arrangements and to send you information about Audley Travel. In order to make your travel arrangements we may need to pass your details to companies and individuals in countries where less stringent data protection controls may be in place. We will not pass on your details to third parties for any other purposes. Please read the following conditions carefully. All tours are sold by us subject to these conditions and the other general information in this booklet, and in our brochures. Audley Travel US Inc (whose headquarters are at 77 North Washington Street, 6th Floor, Boston, MA, 02114, United States), its and their subsidiaries, owners, directors, officers, employees and affiliates, (collectively “Audley Travel”), does not own or operate any entity which is to or does provide goods or services for your trip including, for example, ownership or control over hotels or other lodging facilities, airlines, vessels, buses, vans or other transportation companies, local ground operators, providers or organizers of optional excursions or equipment used thereon, food service or entertainment providers, etc. All such persons and entities are independent contractors. As a result, Audley Travel is not liable for any negligent or willful act or failure to act of any such person or entity, or of any other third party. Without limitation, Audley Travel is not responsible for any injury, loss, or damage to person, property, or luggage, death, delay or inconvenience in connection with the provision of any goods or services occasioned by or resulting from, but not limited to, acts of God, acts of government, force majeure, acts of war or civil unrest, insurrection or revolt, strikes or other labor activities, criminal or terrorist activities of any kind, or the threat thereof, overbooking or downgrading of accommodations, structural or other defective conditions in hotels or other lodging facilities, mechanical or other failure of airplanes or other means of transportation or for any failure of any transportation mechanism to arrive or depart timely or safely, dangers associated with or bites from animals, pests or insects, marine life or vegetation of any sort, dangers incident to recreational activities such as scuba diving, zip lining, snorkeling, paddle boarding, swimming, kayaking, sailing, canoeing, rafting, hiking, bicycling, rock climbing, etc., sanitation problems, food poisoning, lack of access to or quality of medical care, difficulty in evacuation in case of a medical or other emergency, illness, epidemics or the threat thereof or for any other cause beyond the direct control of Audley Travel. In addition, I release Audley Travel from its own negligence and assume all risk thereof. Audley Travel may take photographs or video of its trips and trip participants. I grant Audley Travel permission to do so and for it to use same for promotional or commercial use without payment of any compensation to participant. I am aware that adventure travel such as that I am undertaking involves hazardous activities, some in remote areas of the world, with a risk of illness, injury, or death which may be caused by forces of nature, animals, insects, or flora, the negligence of Audley Travel, or other persons and companies known or unknown, or of willful or criminal conduct of third parties. I am aware that weather conditions may be severe, adverse and/or unpleasant. I am also aware that medical services or facilities may not be readily available or accessible during some or all of the time during which I am participating on the trip. In order to partake of the enjoyment and excitement of this adventure travel trip I am willing to accept the risks and uncertainty involved as being an integral part of my adventure. I hereby accept and assume full responsibility for any and all risks of illness, injury, or death and of the negligence of Audley Travel or of any third parties. I acknowledge that I have voluntarily applied to participate on the trip designated on this application (or a trip which I may change to) and that I have read the description of the trip as it appears in the current Audley Travel catalog and supplements or brochures relating to the trip, together with all information contained in this application. I am voluntarily participating in this trip with knowledge of the hazards involved. I am also aware that additional waivers may be required by local tour providers in order to participate in certain activities during my trip. I agree that any dispute concerning, relating, or referring to this contract, the brochure, or any other literature concerning my trip, or the trip itself shall be resolved exclusively by binding arbitration in Massachusetts, according to the then existing commercial rules of the American Arbitration Association. Such proceedings will be governed by substantive (but not procedural) Massachusetts law. I have carefully read this Agreement and the General Information document, and fully understand its contents. I am aware that this is a release of liability and a contract between myself and Audley Travel and/or its affiliated organizations and sign it of my own free will. (i) The procedure for making a booking is shown in your itinerary quotation and on our website. All bookings are subject to these terms and conditions and by asking us to confirm your booking, the person who makes the booking accepts these booking conditions on behalf of all persons named on the booking. Once we have received the applicable payment(s) due at the time of booking (see below), we will, subject to availability of the requested arrangements, send you your invoice. It is at the point when we issue this to you that a valid contract will come into existence between us. Please check your confirmation/invoice and all tickets/documents carefully as soon as you receive them and contact us immediately if you think any details are incorrect. We regret we cannot accept any liability if we are not notified of any inaccuracies (for which we are responsible) in any document within ten days of our sending it out (five days for tickets). We will do our best to rectify any mistake notified to us outside these time limits but you must meet any costs involved in doing so. (ii) The deposit is part payment for your trip. The deposit required will be shown on the quotation page of your itinerary. In addition to the deposit, full or part payment of certain elements of your trip (such as flights) may be required at the time of booking or at some point between booking and balance due date. Also see clause (iv). The deposit and all such additional payments are non-refundable unless we cancel your trip. The balance must be paid not later than the date specified on the invoice. This is normally no less than 8 weeks before the departure date. However, there are a few destinations or trip components that require payment no less than 90 days before the departure date which will be specified on your invoice and quotation. Please note if we do not receive all payments due (including any surcharge where applicable) in full and on time, we are entitled to assume that you wish to cancel your booking. In this case, we will be entitled to keep all amounts paid or due at that date. If we do not cancel straight away because you have promised to make payment, you must pay the cancellation charges shown in clause 3 depending on the date we reasonably treat your booking as cancelled. (iv) On occasions, we may be asked by suppliers to make payment to them earlier than normal. Such requests may, for example, be made in order to secure accommodation and other services during periods of peak demand. Failure to comply with these requests may result in the loss of confirmed arrangements. Where this situation arises, we reserve the right to ask you to make payment of the requested sum within a stipulated period and prior to balance due date. We will of course endeavor to avoid doing so if we can. Any such early payment will be non-refundable. If, after the contract between us has come into existence, you want to change your itinerary we will do our best to pass your request to the relevant supplier, however we cannot guarantee that such changes can be made. Where a change can be made, we will charge for any additional costs incurred including any costs imposed or incurred by any of our suppliers, and including for example cancellation charges that may be incurred for sectors cancelled. You should note, for example, that a change of name on or other alteration to an airline ticket will usually incur a 100% cancellation charge and full rebooking fee. If you have to cancel part of the booking or cancel the entire booking once it has been confirmed by us, written notification must be sent to us by recorded delivery post or by email. As proof of receipt by email of your notification to cancel you must receive and retain written acknowledgement from Audley Travel. Charges will be applied from the date the letter is received, or the email is acknowledged by Audley Travel, according to the scale below. The charges are applied as a percentage of the total trip cost excluding any amendment charges and any amounts paid in addition to the deposit at the time of booking or before balance due date. The following cancellation charges apply if your final balance due date is 8 weeks prior to departure. Please note, different cancellation charges apply in relation to certain products – please see your quote for details. If you have taken out travel insurance you may, depending on the detail of your policy, be able to recover the cancellation charges, check your policy for details. Never travel without insurance, the unexpected can always happen. It is your responsibility to ensure you are adequately covered by insurance. Please read your policy and take it on your trip. We start planning the trips we offer many months in advance. Occasionally, we have to make changes to itineraries, hotels and other details both before and after bookings have been confirmed. While we always endeavour to avoid changes and cancellations, we must reserve the right to do so. However, we will only cancel your confirmed booking after balance due date where you have failed to comply with any requirement of these booking conditions entitling us to cancel (such as paying on time) or where we are forced to do so as a result of ‘force majeure’ as defined herein. We will not cancel after this date for any other reason. We cannot accept liability or pay any compensation where the performance or prompt performance of our contractual obligations is prevented or affected, or you otherwise suffer any loss, injury, death, inconvenience or damage as a result of circumstances amounting to ‘force majeure’. In these terms and conditions ‘force majeure’ means any event or circumstances which we or the supplier of the services in question could not foresee or avoid. Such events and circumstances may include, whether actual or threatened, war, insurrection, riots, strikes, civil action, decisions by governments or governing authority, technical or maintenance problems with transport, changes of schedules or operational decisions of air carriers, terrorist activity, industrial action, natural or nuclear activity, epidemics/pandemics, adverse weather conditions, fire, and all similar events outside our control. Significant increases in aviation fuel and other energy prices as well as fluctuations in exchange rates and other factors may necessitate an increase in trip prices before or after you book. If you purchase interstate or international air through Audley Travel as part of the trip, no surcharges will be imposed (except in the unlikely event of an increase in governmental taxes) after final payment. Surcharges, however, may be imposed at any time up to final payment. If, however, you purchase a land-only package (no interstate or international air), Audley Travel reserves the right to surcharge for these increased costs even after final payment. We reserve the right to make changes to and correct errors in quoted prices at any time before your trip is confirmed. We will advise you of any error of which we are aware and of the then applicable price at the time of booking. We can accept no responsibility if you arrive late for the check in and miss your flight as a result nor can we accept responsibility for any loss by you of your trip/flight travel tickets, vouchers, or coupons. We and our local ground-handlers reserve the right to remove you from any trip if you endanger yourself or others or disrupt the general well-being of the trip itself. In any such case, there will be no refund. You must ensure that all your travel documents, full passports, visas, vaccination certificates, currency, and travelers checks are in order and valid for travel. All costs incurred in obtaining such documentation must be paid by you. We cannot accept liability if you are refused entry onto any transport or into any country due to failure on your part to carry correct documentation. For up to date visa requirements visit www.travel.state.gov. The name on your airline tickets must be identical to the name that appears on your passport. Should you have any complaints about any aspect of your tour arrangements, you must inform our local representative or tour leader immediately and the supplier of the arrangements concerned. Problems can most easily be dealt with on the spot. Please note, if you do not report a problem or complaint which, if it had been reported at the time it occurred could have been resolved there and then we cannot accept any liability in respect of that problem or complaint. It is sensible to expect a client traveling in the developing world to be reasonably resourceful if things go wrong. If you experience any difficulties, contact us on our 24 hour emergency telephone service. The number will be found on your pre-departure information and with your tickets. In the unlikely event that an acceptable solution cannot be found, you should then write to us within 28 days of your return with full details of your complaint. We have taken every care in ensuring that the information in the brochure and given in itineraries is correct at the time of publication. However we are sure you will appreciate that subsequently minor alterations may arise. We reserve the right to change any of the prices, services, or other particulars contained in this brochure, itinerary, or any quotation at any time before we enter into a contract with you. If there is any change we will notify you before we enter into such contract. Where we state that additional information, a fact sheet or a dossier is available on a particular itinerary or program, this information should be regarded as a term of the contract. The hotel classifications given in our brochure, quotations, and dossiers and fact sheets are for guidance only. They are not based on any national or international classification system, they are the opinions of our staff and are quite subjective. If you have any special request, you must advise us in writing at the time of booking. Although we will endeavor to pass any reasonable requests on to the relevant supplier, we regret we cannot guarantee any request will be met unless we have specifically confirmed this. For your own protection, you should obtain confirmation in writing from us that your request will be complied with (where it is possible for us to give this) if your request is important to you. Confirmation that a special request has been noted or passed on to the supplier or the inclusion of the special request on your confirmation invoice or any other documentation is not confirmation that the request will be met. Unless and until specifically confirmed, all special requests are subject to availability. Please note that we do not provide or arrange excursions other than those listed in your itinerary. Our local representatives or guides may put you in touch with local organisers of excursions if you request but we can have no liability for such excursions, as your contract for such excursions will be with a local company providing the services and not with us. Please note, the information and prices shown in our brochures and/or quotations may have changed by the time you come to book your trip. While every effort is made to ensure the accuracy of the brochures, quotations and prices at the time of printing or when they are given to you, regrettably errors and/or changes do occasionally occur. You must therefore ensure you check all details of your chosen trip (including the price) with us at the time of booking. All honeymoon bookings and use of Audley's Honeymoon Gift Service are subject to our Terms & Conditions. It is important to note that in the unfortunate event of the cancellation of your booking you will be responsible for all cancellation charges as detailed in our Terms & Conditions. Audley also reserve the right to charge a $225 administration fee to cover refunding all monies to your guests. These refunds will only be made once all cancellation charges have been paid.